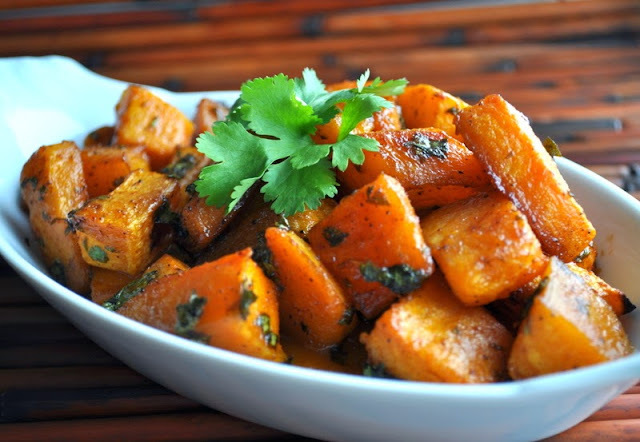 Are you in need of a delicious holiday side dish this week? I have just the thing. And guess what? It's grain free, refined sugar free, and probably the best way I've ever had butternut squash prepared. How can you go wrong? Simply roast cubed butternut squash for ~30 minutes at 425F. While it's roasting, brown two tablespoons of butter. Right before it's done, throw in some chopped fresh sage leaves. It should be golden brown, but not burnt. If you aren't sure how to brown butter, watch a tutorial. I'm telling you, it is ah-mazing. Life changing. Brown butter snickerdoodles, my friend. You need them. Toss gently and promptly consume. You can warm it up later too. 2. 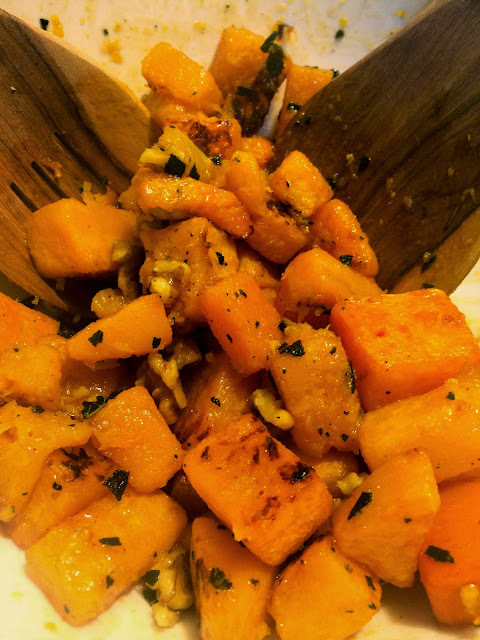 Toss the butternut squash in olive oil and salt. Spread it evenly on a cookie sheet. 3. Roast the squash, tossing occasionally, until tender and slightly browned, about 30 minutes depending on the size of your pieces. 4. Heat the butter and sage leaves over medium heat, swirling it around the pan every couple of minutes. Once the butter foams up and starts browning, remove from heat. You want it to be a light amber color, but not burned. It will start to smell nutty when it's browning. Quickly dump into a cool bowl to stop the cooking process. 5. Add the maple syrup and cinnamon, then pour the butter sauce over the squash.